Why do newspapers parrot 'reports' about BBC bias from organisations funded by hardline Brexiters? 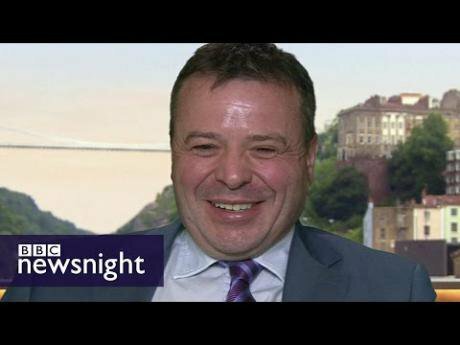 Arron Banks on Newsnight. Image: BBC, fair use. Brexiters often accuse the British media of being biased towards remaining in the European Union. Especially the BBC. In July, a cross-party group of 70 MPs wrote to the corporation complaining that it was heavily "in favour of those who wish to water down or even reverse the referendum decision.” Earlier this month, would be Conservative leadership hopeful Jacob Rees Mogg said the BBC had a “deep-seated anti-Brexit bias”. But we have looked a bit closer at these studies and noticed a pattern – all the research is produced by a single tiny company that is explicitly anti-EU and whose funders include controversial businessman Arron Banks’s Leave.EU. These studies are almost always reported uncritically by major newspapers with little or no mention of how the research was compiled and interpreted, or who paid for it. Take yesterday, October 22. In a story entitled “BBC invited a third more pro-EU than Eurosceptic speakers to appear during election campaign, report claims”, the Sunday Telegraph reported claims that “BBC correspondents and presenters one-sidedly emphasised the difficulties of Brexit" and that the BBC Reality Check team "put further undue weight on the disadvantages of leaving the EU". The research, the paper reported, was carried out by “media analysts News-watch”. News-watch style themselves as “media analysts” but seem mainly interested in one outlet and one story – the BBC and Brexit. Since being founded in 1999 by former BBC producer David Keighley, News-watch has published dozens of reports, pretty much all of them on the BBC’s coverage of the EU. Every story on News-watch’s home page is avowedly pro-Brexit. As far as we can tell, all of the newspaper stories of BBC anti-Brexit bias are based on reports written by News-watch. Kathy Gyngell, who helped set up News-watch, runs Conservative Women, a prominent pro-Leave blog site, and is the widow of ‘Thatcher’s favourite broadcaster’, Bruce Gyngell, for whom Keighley used to work. Last year, Keighley was keynote speaker at the Traditional Britain Group annual conference. In 2013, Conservative MP Jacob Ress-Mogg was forced to apologise for addressing the organisation’s annual dinner when it transpired that it has called for Doreen Lawrence and other black people to be ‘requested to return to their natural homelands’, and has referred to Labour MP Chuka Umunna as “a Nigerian” and Tory MP Nadhim Zahawi as “foreign“. News-watch has been connected with right-wing Eurosceptic think tanks, politicians and journalists for almost twenty years. Under its previous name, Minotaur Media Tracking, it produced a number of reports for the dark-money funded Eurosceptic think-tank Global Britain and the Centre for Policy Studies, (with whom Kathy Gyngell is now a fellow). In 2004 News-watch wrote a report of the BBC’s coverage of asylum issues for the right wing think tank Migration Watch, whose income source is also unclear and which is chaired by the former British Ambassador to Saudi Arabia. Newswatch UK Ltd was dissolved in 2009 and it is not clear what News-watch’s current corporate structure is. 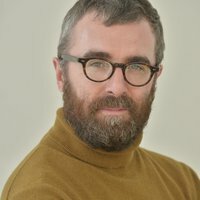 David Keighley, who describes himself as a ‘psychotherapist’ as well as a media consultant, used to sit on the board of the company ‘the Mindful Policy Experts Group Ltd’. Another board member was Tim Loughton, the pro-Brexit Conservative MP who chaired Andrea Leadsom’s leadership campaign in 2016. The company was dissolved in April of this year, according to filings with Companies House. Keighley has appeared before select committees in the Commons talking about the BBC’s EU coverage, including the European Scrutiny Committee in 2013 when Tory Eurosceptic Bill Cash was chair. 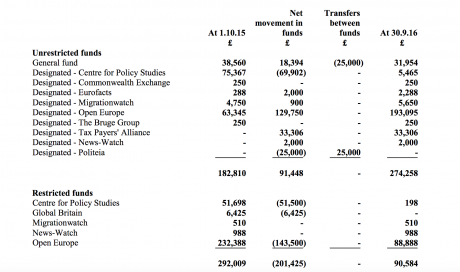 In 2016, News-watch received £65,000 from the right-wing Institute for Policy Research, according to accounts filed with the Charity Commission. The Institute for Policy Research also provides funding for Migration Watch, the Tax Payer’s Alliance and other right-wing lobbying groups. IPR’s payments to these groups were possible because of donations worth £682,000 in 2016. The source of this money isn’t clear. Institute for Policy Research 2016 accounts. Some of News-watch’s recent work has been paid for by pro-Brexit MPs. The Sunday Telegraph notes that the recent report was commissioned by MPs Kate Hoey, Philip Davies, Kelvin Hopkins, Philip Hollobone, Ian Paisley and Graham Stringer, as well as former Ukip leader Malcolm Pearson. But openDemocracy has also discovered that News-watch has received funding from Arron Banks’ Leave.EU. Leave.EU suggest sending donations for News-watch direct to Leave.EU, with an address at Lysander House, Catbrain Lane in Bristol. According to documents filed with companies house, Lysander House is the correspondence address for a number of companies linked to Arron Banks, including insurance company, Go Skippy, the news site Westmonster and Better for the Country Limited. Better for the Country donated £100,000 to the Brexit campaign and bought almost £2m of merchandise for the Leave.EU campaign. In May 2016, Better for the Country was fined by the Information Commssioner’s Office for sending half a million pro-Leave texts. Banks says he contributed almost £9m in cash, loans and services to pro-Brexit causes. MP Ben Bradshaw has called for an investigation into ‘dark money’ and Brexit in the wake of recent stories on openDemocracy about Banks’s spending. News-watch also runs a spin-off site called “BBC Complaints” (Indeed it is one of the first hits that appears when you Google ‘BBC Complaints’). Despite the title is it is only interested in a single issue – complaints about the corporation’s coverage of Brexit. “Despite the vote for Brexit,” the website states, “the BBC output remains massively opposed to withdrawal from the EU. It is required by law to be impartial, but is not.”. The website invites readers to send in examples of anti-Brexit coverage on the BBC. It was the previous efforts of News-watch and its allies which led the BBC Board of Governors to set up an independent panel to examine BBC reporting on the EU, and subsequently to introduce greater monitoring of output for ‘balance’. News-watch reports are picked up by a small group of major newspaper titles – the Sun, the Mail, the Telegraph and the Express have all heavily featured News-watch reports on putative BBC bias in recent months. Often the same reports are used by pro-Brexit newspaper commentators to argue that the media is biased against leaving the EU. Senior politicians often respond, too: during the summer Commons leader, Andrea Leadsom, urged the BBC to “address” its coverage of Brexit in the wake of a News-watch report. Academic research on media coverage of Brexit has reported rather different results. A major study on the press conducted by the Reuters Institute for the Study of Journalism at the University of Oxford found a pronounced tendency to favour pro-Leave voices in the run-up to last June’s referendum. Research by Loughborough University suggested the BBC achieved a good balance between the ‘yes’ and ‘no’ camps during the referendum. Academic researchers are required to be transparent about both their sources of funding, and their methodology. "News-watch is funded by a variety of sources but works independently and has never been under any pressure from any funding source to modify any of its findings. University departments which provide similar work have been funded by bodies such as the EU and the BBC. Does that influence their findings? "Our methodology is rigorously robust and is clearly displayed on our website. All our reports since 1999 are posted on our website. It is the largest corpus of work about the media’s handling of EU coverage ever undertaken. Anyone wishing to challenge our methodology or findings is very welcome to do so but they should do so by being specific rather than making generalised and unfounded statements that our work is influenced by our funding, or that News-watch is ‘right-wing’ . News-watch are not the only pro-Leave lobby group that have found column inches in major newspapers easy to come by. Back in 2015, Matthew Elliott – Vote Leave boss – produce a 1,000 long, anti-EU dossier called “Change or Go”. The report was particularly well received by the Daily Telegraph which, in a single week, featured “Change or Go” four times on its front page, and wrote a glowing editorial in praise of the “genuinely open-minded” report. But openDemocracy has found that the Telegraph’s coverage omitted to mention that it had sponsored Elliott’s report. Change or Go was jointly funded by “generous sponsorship” from Telegraph Media Group and the Politics and Economics Research Trust, a charity that Elliott himself had established in 2006. 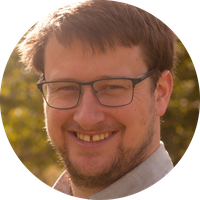 Earlier this year, Elliott was forced to repay the £50,000 grant for writing the Change or Go report to the Politics and Economics Research Trust after the Charity Commission found that the trust should not have been supporting groups to undertake research that takes a political position on a contested topic like EU membership.